BigTime has announced its latest release for November 2018. The new update features significant improvements to invoicing functionality and reports. The main focus is around a complete redesign of invoices. This is not just a change to the look and feel of invoices but also the processes behind them. The Invoice process starts with the creation of a draft invoice and a new review process. Once an invoice is drafted, it is now possible to create a review process so that different individuals are able to review the invoice. This means that a project manager, finance and the sales executives could all review an invoice before it is delivered to the customer. This would enable each department to check not just for typos and inaccuracies but also line items that should not be or should be included on the invoice. 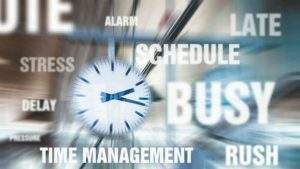 BigTime has also introduced a feature that enables the user to quickly add unbilled time and expenses in a given period to an invoice through a single click. Users can either draw in all outstanding time and expenses or select a date range for the project. The new design features enable users to preview invoices in different design templates. This is done through a simple menu list, but the default one is the last used. They can initiate the approval process, review its status within that process and email it to a client once approved. Users can also add additional recipients to the invoice email. The process allows up to two approvers with the IQ Pro version of BigTime and up to four with Premier. Also, if the approval process is an escalation, higher level approvers can eliminate the need for those lower on the list. If an invoice was rejected it does not appear possible to add a comment for the rejection reason. It is also possible to bulk review invoices, which will be a relief for many worried by the additional burden. BigTime could look to add some simple rules or even AI to this process that enables invoices that fall outside normal bounds to be highlighted as exceptions for approval. BigTime has added two new features to its Dashboards. On the Utilization Dashboard users are now able to see how consultants spend time on a specific project. This is available to Premier Users. There is now a drill down capability that enables the user to see the detail behind an accumulated time on a specific project. The break down is displayed by date. BigTime has also added a preview pane for expense approval. 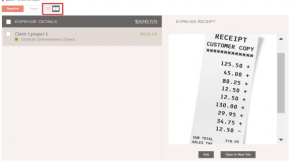 As each expense is selected, a mono image of the actual expense receipt is displayed. This has improved the approval and validation process and removes several clicks per item for the approver. There are several other more minor improvements and bug fixes in this release for users. BigTime is clearly focusing on both improving functionality but also increasing the efficiency for its user base. What it doesn’t mention is the use of augmented intelligence yet in its solutions. The new features move the product forward but there is little that we feel BigTime has really outpaced its competitors with this release. However, as a minor release it has a significant number of updates.